The use of clothing design software has greatly facilitated the works of designers nowadays. These computer aided programs have enabled designers to change the textures and colors of designs easily and create three-dimensional image of their designs. 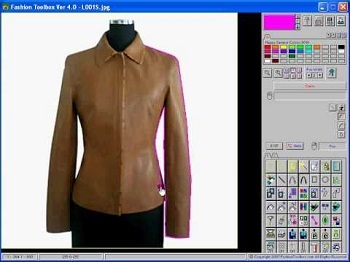 Moreover, many of these fashion design software are available for use in any Macintosh Computer. Listed below are the top 10 clothing design software for Mac. Fashion Toolbox is specifically intended for apparel, textile, and accessory designers. The basic features of Fashion Toolbox are fabrics clip-art gallery and a design specs workbook which usually consists of standard forms for costing, and fitting of your designs. It has a texture mapping tool with accompanying 3D models. A sample version can be downloaded while the total cost of Fashion Toolbox package is around $250. Pros: It has very advanced features and flexible to use. Virtual Fashion Pro features a draping simulation which allows the clothing to adapt and fit well with the body and pose of the model. It allows you to highly customize and apply makeup on your model. The software provides you with a photo studio which lets you take photos of your model from different perspectives, while allowing you to adjust the lighting to vary the mood. Pros: Adaptable and flexible to use. Cons: It takes time to learn some features. Fashion CAD is a CAD system which includes software modules for pattern detailing, pattern design, and marker layout. It also has a live video demonstration feature for every page. There is a manual you can use to familiarize yourself with the features of the software. This software can be used with Intel Macs and necessitates 50 MB of hard disk space, a 1,024 by 768 pixel resolution, and a three-button mouse. Fashion CAD may cost $1,300 for full download. Pros: Perfect for fashion designing. Cons: The full package is too expensive. Digital Fashion Pro allows designers to design and sketch their design concepts. It has vector clothing templates, a training guide, a variety of fabric selections, and a video guide. Moreover, it includes men’s and women’s clothing templates for many types of clothing. It has an upgraded version which permits you to design hats, handbags, swimwear, dresses, coats, and scarves. Basic version costs $200 while the upgraded version may cost around $250. It is a software which you can run on Macs and requires 2 GB of hard disk free space and a basic copy of Parallels. Pros: Flexible and easy to use. Cons: Upgraded version costs $250. Etelestia is a training program for fashion designing which guides you in the creation of clothing design and patterns. It includes a systematic and step-by-step guide on how to make customized design pattern for men’s, women’s, and children’s clothing. The software has drawing aids which allow you to create freehand drawings and designs. You can easily download this program online. Pros: Systematic as a training program. Cons: Lacks some intricate features of other software. Optitex readily provides two-dimensional and three-dimensional patterns for design. You have several options if you want to avail of Optitex packages. The program provides designers with 3D models with virtual clothing for use by the designers. You can immediately create an avatar relative to your own size and then clothe this avatar with various clothing. Pros: It provides 3D and 2D models for designing. Cons: It is relatively simple. Browzwear features a virtual draping simulation which makes use of weight, mass, and fabric type to create a highly realistic simulation. It offers three basic software packages, namely the V-Stitcher which allows designers to create new patterns for garments; the V-styler which focuses on design and color without necessarily focusing on pattern; and the V-viewer for merchants who want to view some collections. Pros: Provides very realistic simulation. 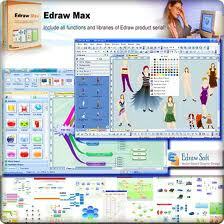 Edraw Max is basically a 2D vector program for fashion designing. It comes with a variety of templates with 10 models and a variety of skin colors and tones. Your creativity will be greatly challenged with the many clothing templates to mix and match styles while you tinge your design with various colors of your taste. You can avail of a free download of this program through its website. Pros: Comes with many templates. Cons: Exhibits some difficulty in exporting the file. 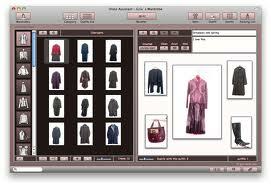 If you’re looking for a software which is very basic and simple, you have it in Dress Assistant. It provides a simple interface with very few options. It does however, do the job for your basic clothing solutions. It provides very basic pattern combinations which you can easily use to find the best fitting clothes. Pros: Easy to use and has cool interface. Cons: It is very simplistic. COMMON Con for ALL of these: They CANNOT be used in WINDOWS!!! NONE of them can! Why does the title say “Free” when many have a purchase price included in the description? I was looking for a long time something like that. I`ve been interested in fashion for 2 years, I draw and create images by hand, but now I understood that it is time to move to an electronic format 🙂 thank you very much! Optitex costs $20,000. That’s hardly free.